Prosecutors argued Liam McAtasney killed Sarah Stern for her money. A New Jersey man accused of strangling his childhood friend and throwing her body off a bridge was found guilty of first-degree murder Tuesday. 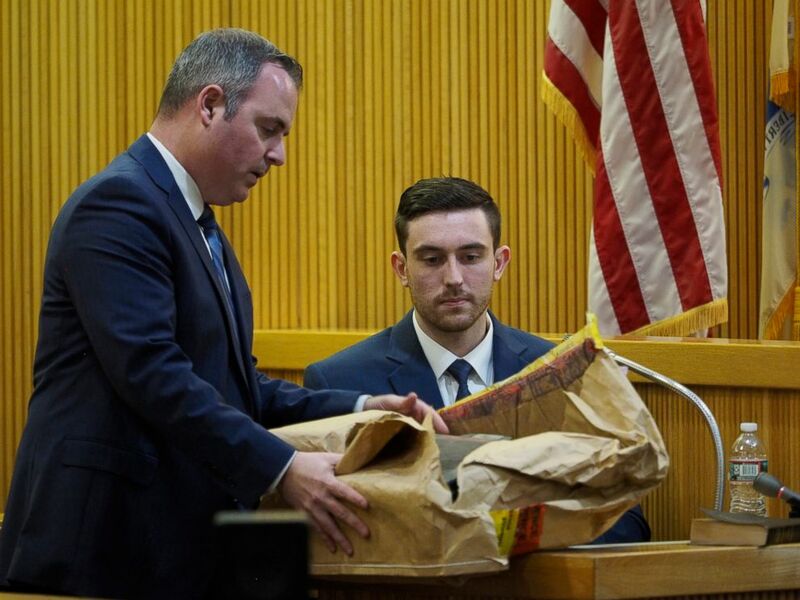 A Monmouth County jury found Liam McAtasney, now 21, guilty on all seven counts against him, including first-degree murder, conspiracy, desecrating human remains and other charges. 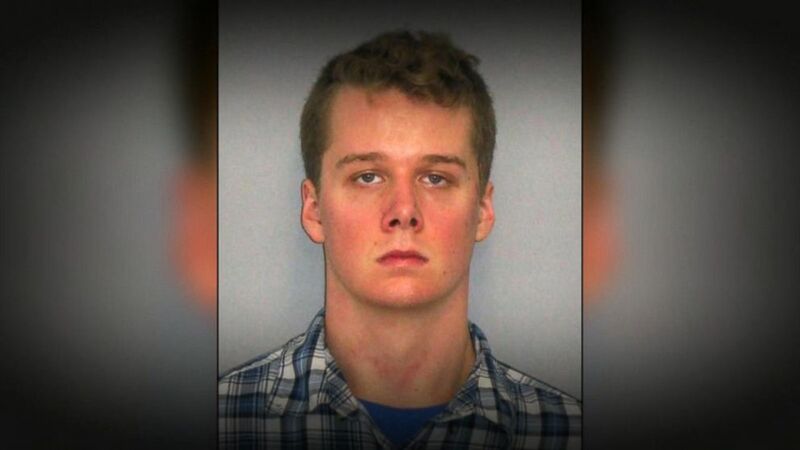 He was accused of strangling 19-year-old Sarah Stern, his high school classmate, in December 2016 and enlisting her prom date to help throw her body off a bridge in Belmar, New Jersey, according to authorities. Her body was never found, but police discovered her abandoned car on Dec. 3, 2016, on the Route 35 Bridge in Belmar with the keys in the ignition hours after she went missing. Watch the full story on a two-hour special edition of "20/20" THIS FRIDAY at 9 p.m. ET on ABC. (Courtesy Lindsey Bahr) Sarah Stern, of Neptune County, N.J., disappeared on Dec. 2, 2016, at the age of 19. Prosecutors argued that McAtasney killed Stern for the thousands of dollars that had once belonged to her mother, who died of cancer in 2013. They claimed McAtasney planned Stern’s death for six months and his aim was to get money from her lock box, which he believed was stuffed with cash. McAtasney, who did not testify during his trial, denied all wrongdoing. His defense attorney claimed there was no physical evidence to support the prosecution’s case. 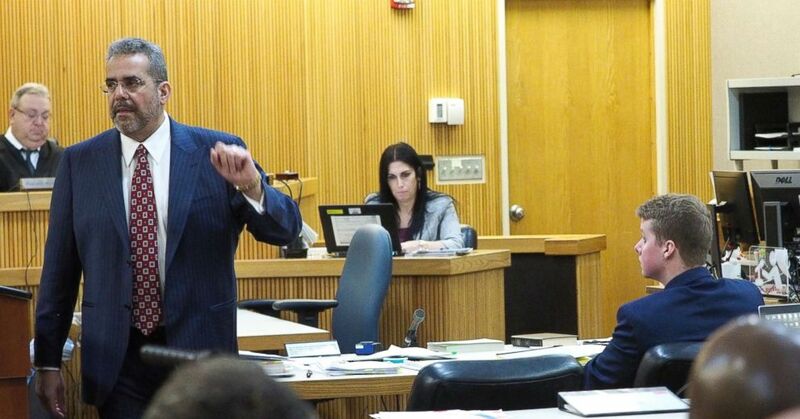 (Patti Sapone/NJ Advance Media via AP, FILE) Defense attorney Carlos Diaz-Cobo addresses the jury during closing arguments for his client Liam McAtasney in Monmouth County Superior Court, Feb. 22, 2019 in Freehold, N.J.
Preston Taylor, Stern’s prom date and McAtasney's former roommate, pleaded guilty to first-degree robbery, second-degree conspiracy to commit robbery and second-degree disturbing or desecrating human remains. Taylor, who testified against McAtasney, said McAtasney told him Stern had the "type of money somebody would kill for" and that he planned to get her drunk and take the money left by her mother. (Patti Sapone/NJ Advance Media via AP, FILE) Monmouth County Assistant Prosecutor Christopher Decker presents evidence to Preston Taylor, a witness for the prosecution, during the murder trial of Liam McAtasney at the Monmouth County courthouse, Jan. 23, 2019, in Freehold, N.J.
During one of the trial's most emotional moments, prosecutors played for jurors what they said was a confession tape of McAtasney talking to a friend and allegedly admitting to killing Stern. "It took me half an hour to kill her," McAtasney can be heard saying on the tape. "The worst part of it is I thought I was walking out [with] $50,000 to $100,000 in my pocket," McAtasney allegedly said in the tape. "She had one safe that she took money out [of], and she only had $10,000." Police secretly recorded the video in a sting operation using McAtasney’s friend, Anthony Curry. Curry testified at trial that McAtasney allegedly told him in November 2016 of his plan to strangle Stern and steal the money. “He told me he was going to meet up with Sarah, she had found this money,” Curry testified. “They were going to count it together. He was going to choke her, choke her out. Bring her to the bridge, throw her off and Preston was going to drive the escape vehicle. And they were going to bury the money, and leave the keys in the ignition and make it look like she killed herself." Curry went to police after Stern disappeared. Police said they had Curry arrange a face-to-face meeting with McAtasney on Jan. 31, 2017, and set up a video recording device in Curry's car. McAtasney can be seen in the video allegedly describing in gruesome detail how he choked Stern while she struggled to stay alive, before stealing her lock box and throwing her body off the bridge with Taylor's help. McAtasney's attorneys say their client fabricated the story for a horror film that Curry, a young filmmaker, was working on. 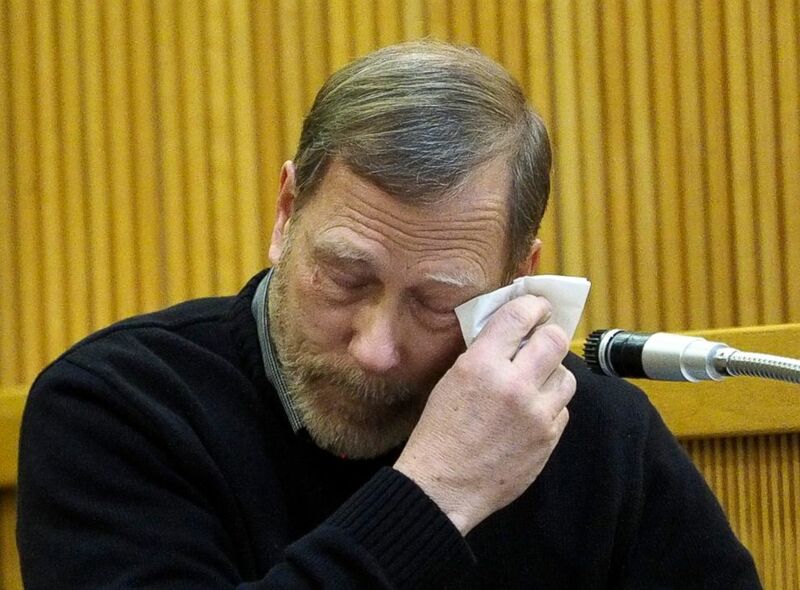 (Patti Sapone/NJ Advance Media via AP, FILE) Michael Stern, the father of victim Sarah Stern, wipes tears from his eyes as he testifies for the prosecution during the trial of Liam McAtasney at the Monmouth County courthouse in Freehold, N.J., Feb. 5, 2019. Just hours after Stern's disappearance, McAtasney was asked about Stern's whereabouts in videos recorded on police body cameras. 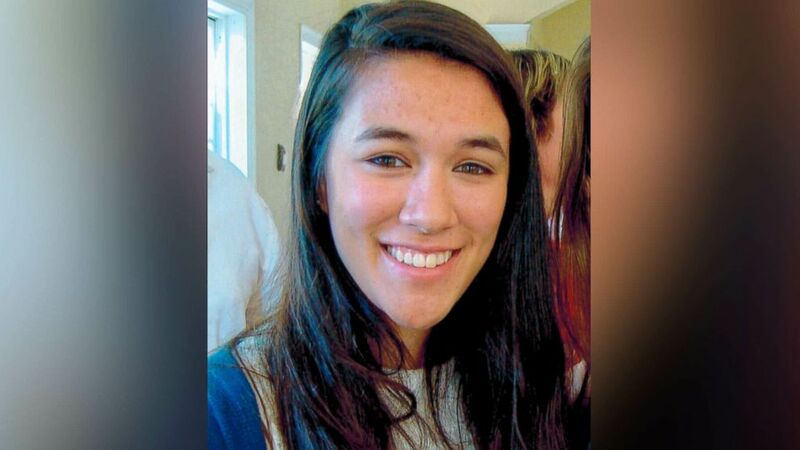 "I just know she's been trying to get away, been telling me she's moving to Canada," McAtasney said to police at the time. Prosecutors argued he intentionally misled investigators, hoping to throw them off. Both McAtasney and Taylor are expected to be sentenced in May. ABC News' Joseph Diaz and Jenner Smith contributed to this report.